Pimax’s 4K VR headset is a desktop VR headset with a 4K (3840 x 1920) screen. The per-eye resolution is 1920 x 1920, which is significantly higher than that of the HTC Vive or Rift (1080 x 1200). Upload VR tried it and they said that it was crisper than anything they had seen. Pimax 4K is on sale at GearBest for $375 with free shipping. 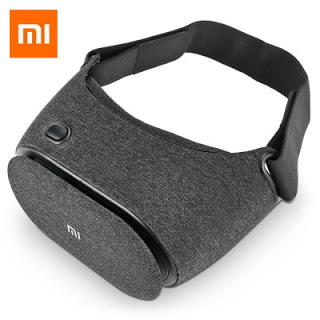 Xiaomi’s Mi Play 2 is a Google Cardboard viewer based on the design of the Google Daydream headset (but I don’t have anything to indicate that it is an actual Daydream headset with NFC codes etc.). It fits phones with screens from 4.7 to 5.7 inches. It looks like a comfortable Cardboard viewer. It’s on sale for $23.99 with free shipping to the US. 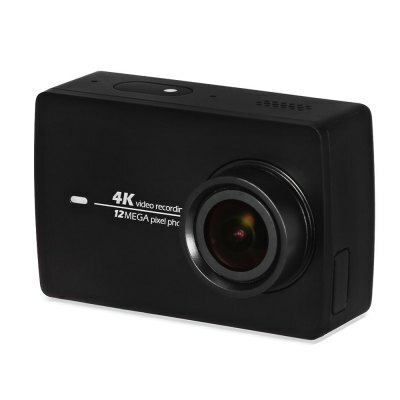 There are several 4K action cameras on sale. They might be usable to put together a stereoscopic rig, or a lower-cost 360 rig. This popular action camera shoots at up to 4K @ 30 fps and has a 155-degree FOV. (Please note this is not the newest 4K+ model with 4K 60fps). There are several companies that have stereoscopic and 360 rigs for the Xiaomi Yi action camera. On sale for $199. This camera also shoots at 4K (3840 x 2160) @ 30fps. 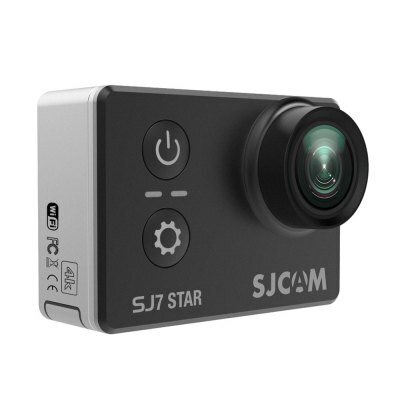 It uses a Sony IMX117 sensor, the same one used in the GoPro Hero4. The field of view is 166 degrees. I’ve seen a few 360 rigs for SJCam’s older cameras. They might or might not be compatible with this newer model. On sale for $182.99. There are a few other 4K action cameras on sale that cost even less, but off the top of my head I don’t know of any 360 rigs designed specifically for these. – Thieye T5E with Sony IMX117 sensor and 4K 30fps video on sale for $115.99. – Hawkeye Firefly 8S with Sony IMX117, 170-degree FOV and 4K 30fps video on sale for $119.99. – Eken V8S with 4K 25fps video and 170-degree FOV on sale for $109.99.